This midcentury recipe was positively screaming for a makeover. Originally, this recipe consisted of deli meat stuffed with cottage cheese, cream of celery soup, sour cream, mustard and spinach topped with breadcrumbs and baked. This remake still includes many of the original ingredients, but opts for salty prosciutto instead of ham and parmesan cheese instead of cottage cheese. 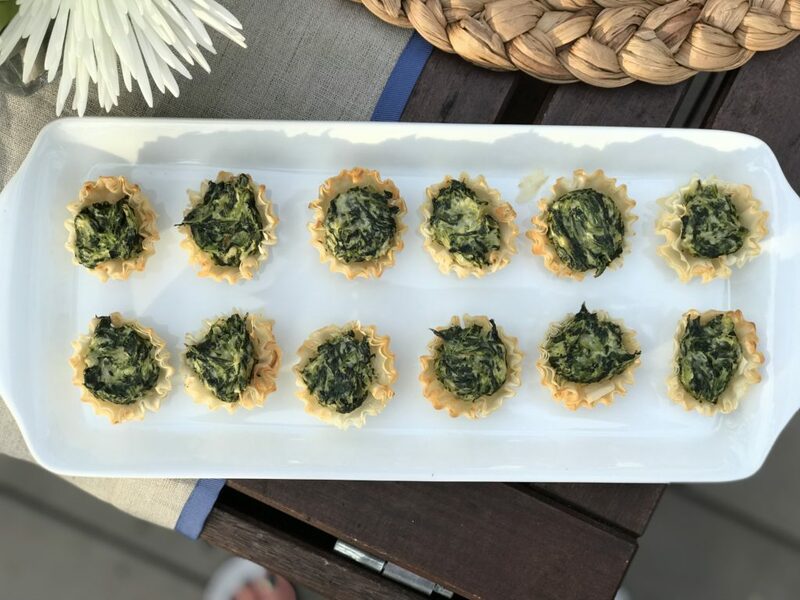 Piled into a flaky filo cup, this retro-made-modern appetizer will remind many Sustainers of brunches past. Squeeze excess liquid from thawed spinach. Add spinach, mustard, sour cream, cream of celery, parmesan cheese and prosciutto to a bowl. cutting off a corner for much easier clean-up!